Discussion in 'Tutorials' started by dila, Sep 23, 2015. 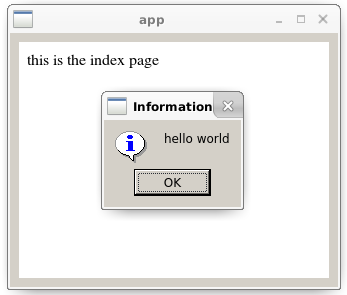 In Qt, you can create a QWebView widget, which is a Webkit web page control. Here you can display arbitrary HTML, either using the webView->setHTML(...) method, or using webView->setUrl(...) method and load content from the internet or local file system. Also that you can load local html.Gives many posibilities. Im gonna play some with this. thx for sharing this goodie. I sometimes takes siterips of interesting sites.Then i was looking for a way to display them locally within a app.This could help out.